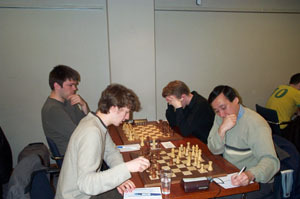 Many thanks to Helen Milligan for snapping the start of the decisive Wood Green 1 vs. Guildford-ADC 1 match. 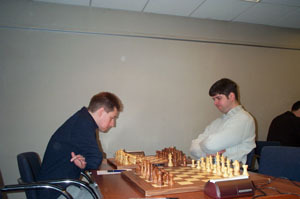 Board 1: Adams and Svidler. 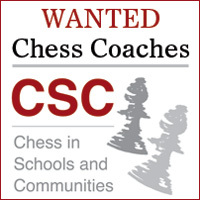 ... are joined by Shirov and Efimenko. 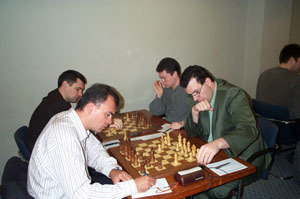 The decisive results came on boards 3 and 4. 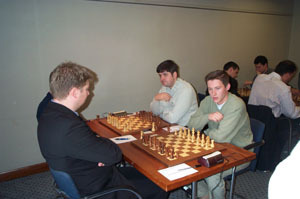 McShane and Hebden in the foreground, Heine Nielsen and Rowson behind. 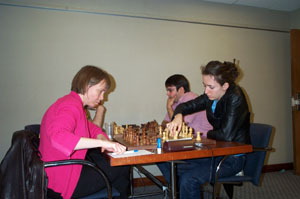 Irina Krush plays her move against Pia Cramling; Pascal Charbonneau in the background.